Alcohol abuse is the term used to describe the habit of drinking unhealthily every day or consuming large quantities of alcohol at a time. Alcohol abuse can ruin your relationships, render you unemployed because of absenteeism from work or make you break laws such as DUI (driving under the influence of alcohol). 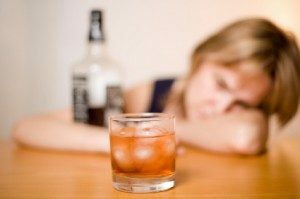 Alcohol addiction or alcoholism or alcohol dependence comes about as a result of prolonged alcohol abuse. When one is addicted to alcohol, they feel a strong need or desire to drink. They feel that they have to drink to feel normal or continue with their daily activities. Essentially, alcoholism is a chronic disease. 1. You keep drinking even though it jeopardizes your relationships and causes you to fall ill.
2. You feel the need to drink more alcohol to get high. 3. You are unable to stop drinking or minimize the amount of alcohol you drink. 4. You spend most of your time drinking and nursing hangovers, or you have given up your hobbies and other things so that you can drink. 5. You experience withdrawal symptoms when you go without drinking such as sweating, anxiety, shakiness and feel discomfort in your stomach. 6. Your attempts at quitting drinking have been fruitless. You can be said to have drunk too much if you are a woman and you have taken more than three drinks at a time or exceeded 7 drinks in a week. For a man, if you take four drinks at a time or consume more than fourteen drinks in a week you will have crossed over to the excessive drinking mark. There are many signs of alcoholism, most of which are obvious to the people around you, but sometimes can go unnoticed by the person drinking. Alcohol works by affecting the functioning of the central nervous system. Therefore, it slows down bodily and mental processes. After downing the first drink, a person feels their stress and anxiety has abated. Alcohol also helps people act more confidently in the presence of new people so it is a favorite for shy people who may fear to interact with strangers when they are sober. What are the health implications of drinking heavily? A routine visit to the doctor can help you discover whether you have alcohol problems or not. If you suspect that you have an alcohol problem or someone who is close to you thinks you have it, they may encourage you to see your doctor or a professional therapist. The doctor will interrogate you about your symptoms and health history and then do a physical exam. They might also do a mental health assessment to ascertain whether you have issues such as depression which is common among alcoholics. They will also ask you questions and carry out tests to check for illnesses that are associated with alcohol like cirrhosis. The treatment option that can be used on you will depend on the severity of your alcohol problem. If your problem is not too serious, counseling can help you reduce your alcohol intake. If your problem is too severe, you might need to be rehabilitated. At the rehab, the doctor might recommend detoxification before treatment. During detoxification, you will require taking medicine that will help you alleviate withdrawal symptoms. After detoxification, you will be required to stay sober. You might need medicine for this. You will also receive some type of therapy such as group counseling. The recovery process is usually gradual. For you to recover fully, you will need to improve the areas of your life that suffered when you were an addict such as family and work. This will help you achieve your goal to stay sober. Other things that can help with this include support groups like alcoholics anonymous. Other treatment options are nutritional changes and drug therapy. There are many resources you can utilize if you, or someone you know may have a problem with alcohol.